KARACHI - The Council of Pakistan Newspaper Editors (CPNE) has expressed deep concern over the current condition of freedom of the press in Pakistan. In a press release, it said the media is undergoing a phase of extreme congestion and unnecessary restrictions. 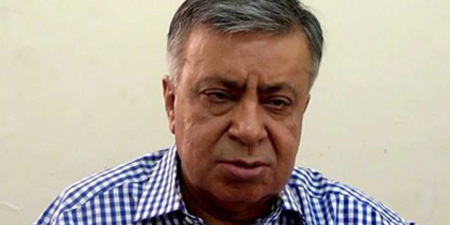 As per the resolution passed in a meeting of the standing committee headed by CPNE President Arif Nizami (pictured), despite non-implementation of the notorious censorship, the current condition of the media is far worse than it was in the past. The release said it seemed like the newspapers are being subjected to economic sanctions in a bid to indirectly control the freedom of the press. By subjecting the papers to economic death, an attempt is being made to end freedom of expression and information, which is against the fundamental rights of freedom of the press. The resolution termed the proposed media regulatory authority as an unwise measure dangerous for the print media. The print media obtained freedom after a long struggle and steps to bring it under a regulatory authority seem dictatorial and is fanning fears amongst the newspaper circles. The resolution also expressed concerns over the various complaints of editors about restrictions on the circulation of their newspapers. The resolution stressed unity amongst all media teams, media organizations and other stakeholders and called upon them to formulate a joint strategy to ensure an end to indirect restrictions on the media. In this respect, CPNE President Nizami was authorized to contact all media stakeholders, media organizations and journalist communities. The meeting also decided to organize an extensive media convention for promoting freedom of the press. Those who attended the CPNE meeting included: Arif Nizami (Pakistan Today), Zaffar Abbas (Dawn), Shaheen Qureshi (Jang), Ayaz Khan and Tahir Najmi (Express), Dr. Jabbar Khattak (Awami Awaz), Akram Saigal (Defence Journal), Rehmat Ali Razi (Taaqat), Tahir Farooq (Ittehad), Saeed Khawar (Daily 92 News), Qazi Asad Abid (Nama Ibrat), Hamid Hussain Abidi (Aman), Ijazul Haq (Express Group), Adnan Malik Malik (Ummat), Maqsood Yousufi, (Nai Baat), Arif Baloch (Balochistan Express), Muzzafar Ejaz (Jasarat), Shakeel Turabi (Sabah News Agency), Anwar Sajidi (Intikhab), Moazzam Fakhar (Jahan Pakistan), Muhammad Tahir (Jurrat), Amir Mehmood (Kiran Digest), Ghulam Nabi Chandio (Daily Pak), Zulfiqar Ahmed Rahat (Hotline), Abdul Rehman Mangario (Indus Post), Abdul Khaliq Ali (Online News Agency), Ahmed Iqbal Baloch (Visionary), Sher Muhammad Khawar (Appeal), Akmal Chauhan (Wafa), Basheer Ahmed Memon (Nijaat), Mehmood Alam Khalid (Farozan), Mian Fazal Elahi (Diplomatic Focus), Mumtaz Ahmed Sadiq (Azadi Swat), Nasheed Roy (Qaumi Awaz), Sardar Naeem (Daily Quaid), Ashfaq Ahmed Mufti (Alhaq) and Zahra Abbasi (Nau Sij). The meeting also discussed the distribution of government ads and other affairs. 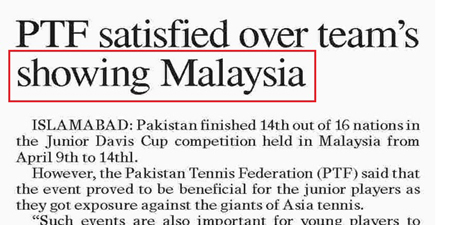 Those details will be released soon, the press release said.